Yesterday, when I went to pick up my dress, I ran into some minor setbacks (I couldn't breath in it, so, minor. At least compared to where I started from). Due to these minor complications I found myself having a couple of hours of unexpected free time. I try to always use my time wisely and have a pet peeve with not being effective. So, I tried to run as many errands as I could, but still had about an extra half hour to kill that I couldn't fit anything else into. 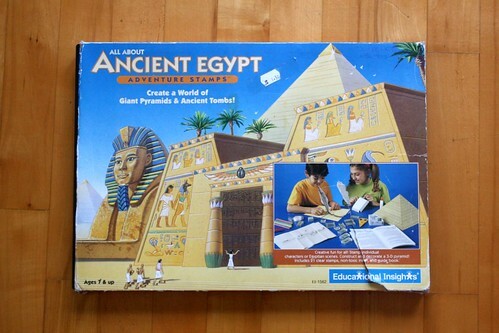 So imagine my delight as I see this box that says "Ancient Egypt" on in. 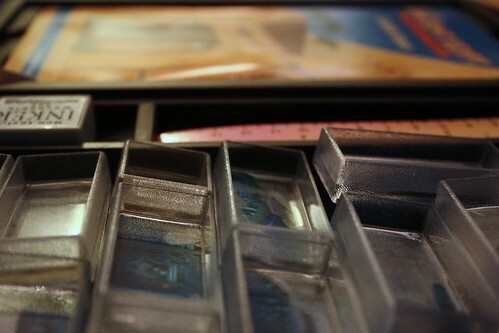 It looks like a board game and it was in a huge pile with a ton of other board games, so it's a pretty safe assumption that it is, in fact, a board game. Now, imagine the little squeel of happiness I involuntarily let out when I saw the rest of the box; "adventure stamps" it says. I have absolutely no idea what that means, but it sounds pretty friggin' awesome. I open the box and it is exactly what it says it is, but better. 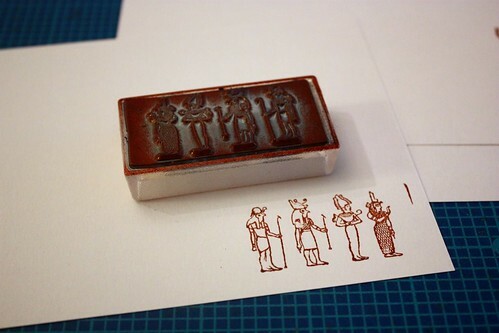 It's a ton of clear stamps depicting various things relating to ancient Egyptian culture. Just look at these! 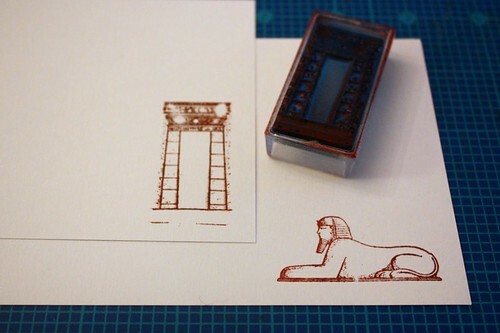 There's a Sphinx and a doorway to a temple. There are also things like columns and pylons, so you could put together large buildings with the pieces. Oh, and some people and plants and whatnot. My favourite is this one with the gods and goddess. So, what do you think? Have you found anything awesome recently? P.S. Did you see the price in the first photo? $1.50! Seriously! P.P.S. I did find a few other things as well. Like more vintage wallpaper and a plastic hippopotamus. I promise I have a use for them. No, really, I do. I'll show you guys later.